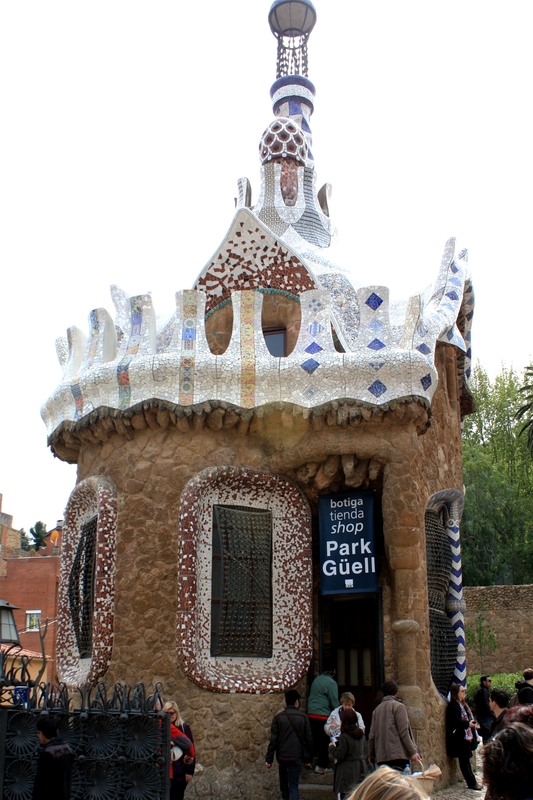 It’s Gaudi day! 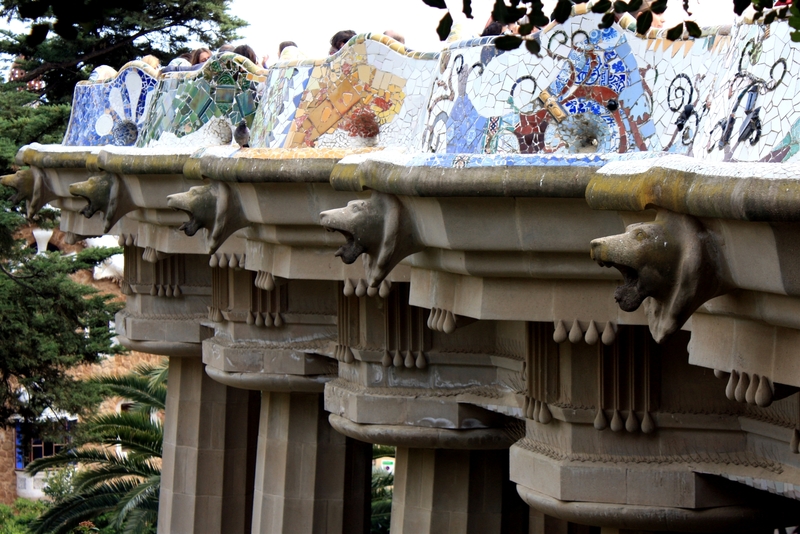 The day I finally get to go inside Sagrada Familia, the day we go to Parc Guell! Yeah, not so much. 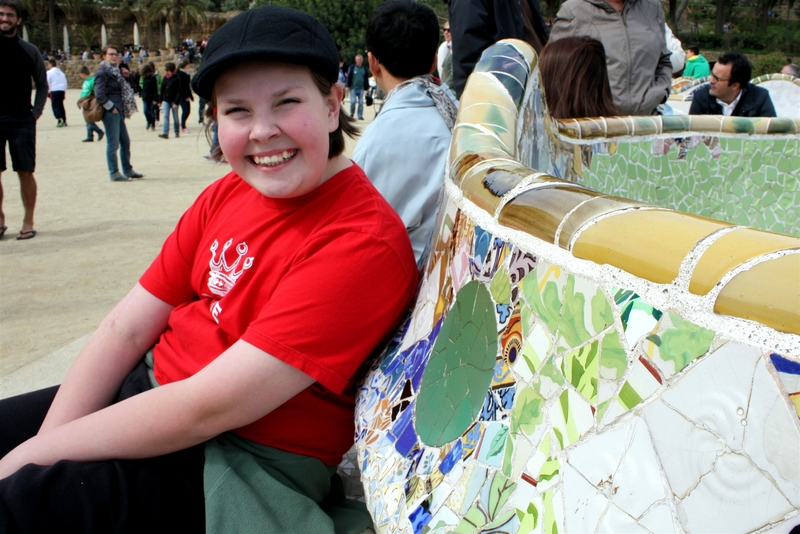 I was so sore in the morning that I sent Christine off to the English tour of Sagrada Familia all by herself (sniff! ), and dedicated my second morning in a week to a search for therapeutic massage places on the web. I specify the “therapeutic” nature of the massage so you don’t think I am always in search of the ultimate pampering spa experience… or some other kind of massage… While I admit I have nothing against aromatherapy and a plush bathrobe, that is rarely what I get, and those other kinds of masseuses? Let’s not even go there, literally or figuratively. Anyway, this whole “I need a massage right now” thing is not what the receptionists at massage places are generally fond of. I found one place that seemed promising and was very close but didn’t answer their phone or email, so I decided to walk down there and see if they could take me. Can you see the potential problems in this approach? Sore leg, potentially unproductive walk? Yeah, I can, too, now… but back then it seemed like a great plan. 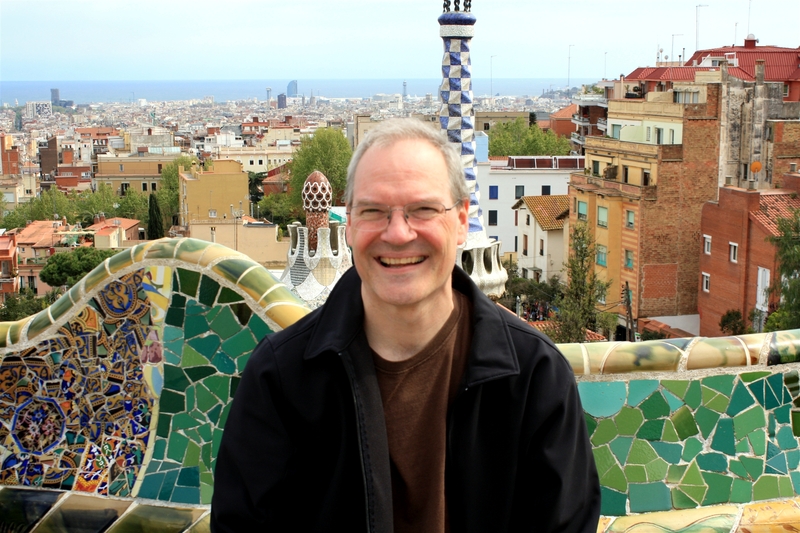 I walked one block past Sagrada Familia (sniff!) to what looked like an apartment building, and then took the tiny elevator upstairs. I found the door easily enough, but when I knocked, no one answered. Being more than slightly desperate, I started ringing the doorbell. Finally, a somewhat-exasperated gentleman in a white doctor’s coat came to the door. I explained my situation (badly, I am sure; the walk hadn’t done much for my equilibrium), and he said he had one appointment left, but not until 6 pm. 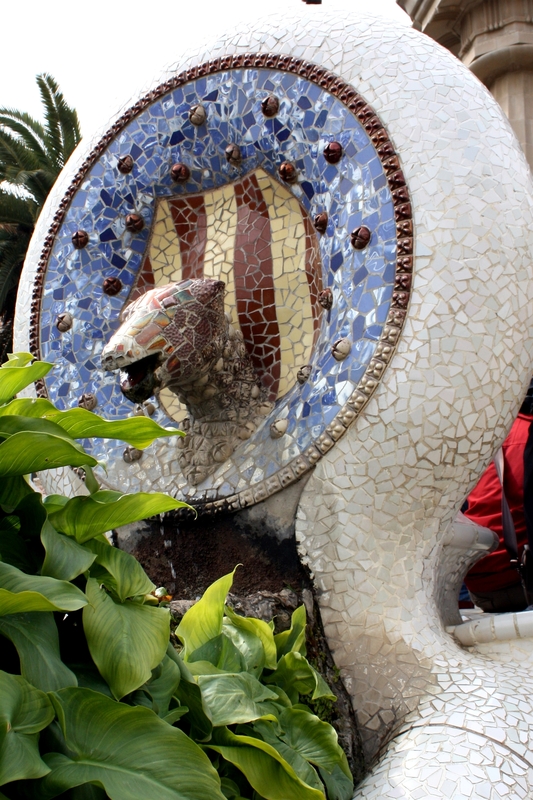 I took it, of course, and broke up the walk back with a stop in a souvenir shop where I picked up a cool Gaudi magnet – a stone-and-mosaic lizard. It was twice the price of the Made-in-China knockoffs, but was made locally and was very cool. I went to my massage at 6 pm –it was amazing and weird. The guy was a chiropractic massage therapist, a little fact I had not realized until he said “Okay, hold your arm like this…” and then wham! body-slammed me. He adjusted my spine and neck, while assuring me that I would feel much better within 24 hours – which was good, because we were flying the next day. I feel taller, that’s for sure. It’s strange… I have a long-standing suspicion of chiropractors. I know people get great results from them, but then they seem to be addicted to going back, over and over. It seems like planned obsolescence in computers: “Let’s make this work for a short time only, so we get a repeat customer.” I know, I know – I am a cynic. Perhaps it’s like brushing your teeth – you can’t just do it once and expect the results to last. David shopped for food when he got home from the Parc, went crazy, and made a wonderful meal of bean and sausage stew, salad, bread, dessert and chocolate. And red wine. And some amazing anise things. No one has ever eaten so much food. Then we packed and weighed and re-weighed our luggage until the wee hours, then went to bed to get our standard pre-flight three hours of sleep. 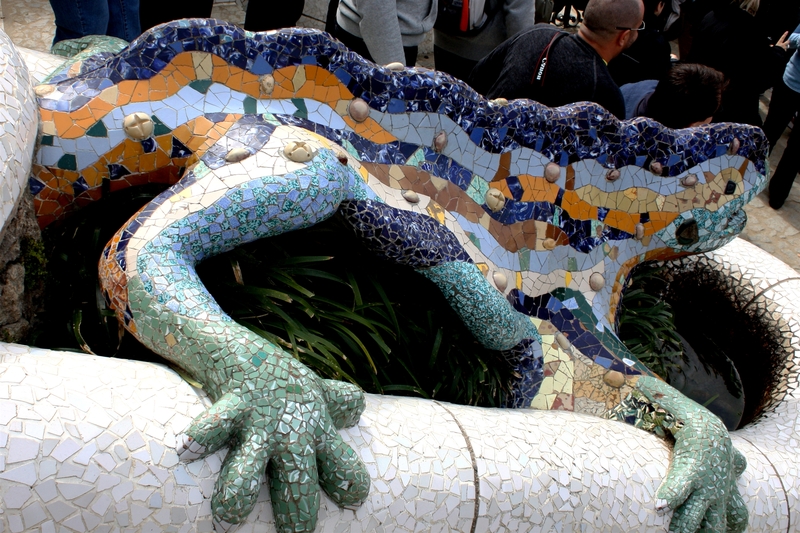 Expenditures: Parc Guell, lizard magnet, crazy back massage, groceries for dinner. 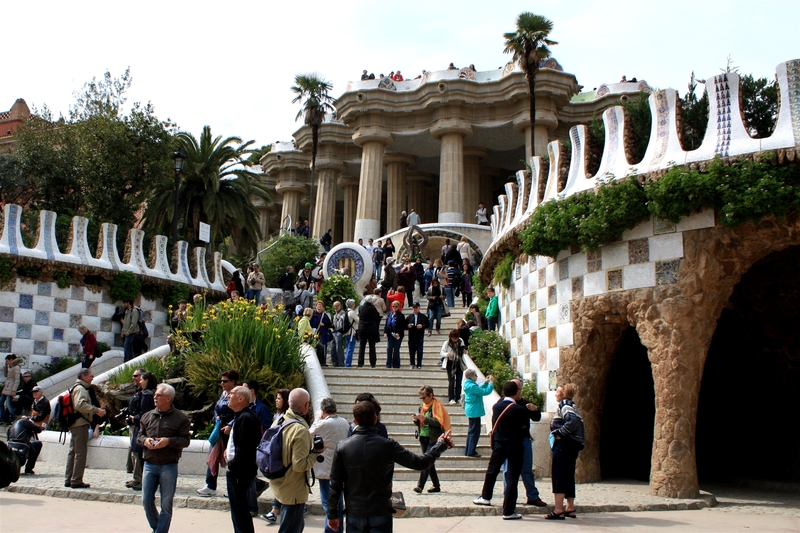 Experiences: Parc Guell! and Crazy Back Massage Guy! and more packing!